The Lacemaker is a painting by the Dutch artist Johannes Vermeer (1632–1675), completed around 1669–1670 and held in the Louvre, Paris. The work shows a young woman dressed in a yellow shawl, holding up a pair of bobbins in her left hand as she carefully places a pin in the pillow on which she is making her bobbin lace. 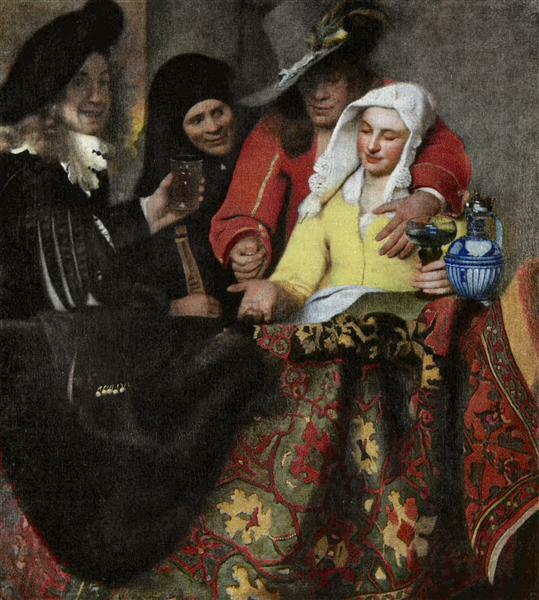 At 24.5 cm x 21 cm (9.6 in x 8.3 in), the work is the smallest of Vermeer's paintings, but in many ways one of his most abstract and unusual. The canvas used was cut from the same bolt as that used for A Young Woman Seated at the Virginals, and both paintings seem to have had identical dimensions originally. The girl is set against a blank wall, probably because the artist sought to eliminate any external distractions from the central image. As with his The Astronomer (1668) and The Geographer (1669), it is obvious that the artist undertook careful study before he executed the work; the art of lacemaking is portrayed closely and accurately. 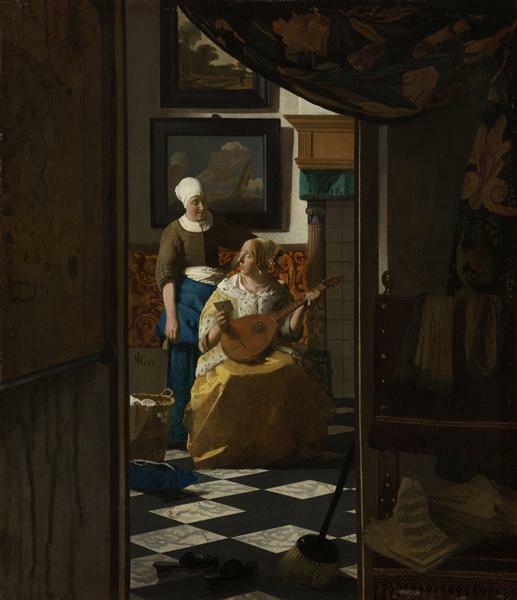 Vermeer probably used a camera obscura while composing the work: many optical effects typical of photography can be seen, in particular the blurring of the foreground. 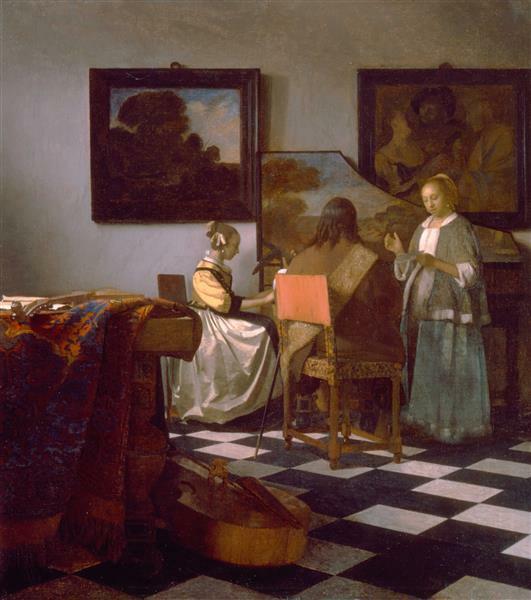 By rendering areas of the canvas as out-of-focus, Vermeer is able to suggest depth of field in a manner unusual of Dutch Baroque painting of the era. 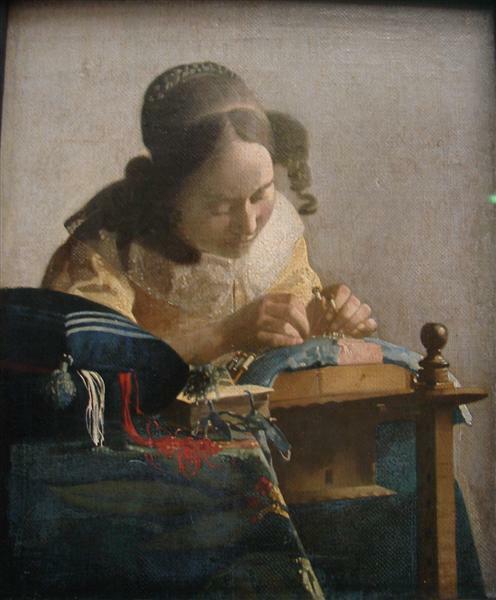 In The Lacemaker, the artist presents in an abstract manner the various elements which compose the girl's face and body and the pattern of the material on which she is working. 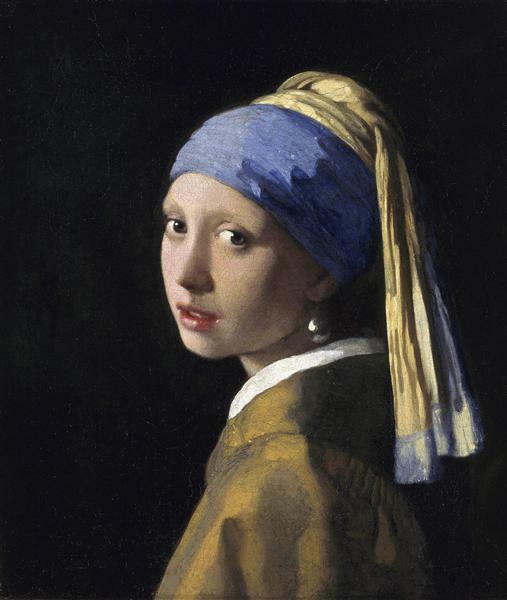 The girl's hands, the curls of her hair and the T-cross which form her eyes and nose are all described in an abstract manner unusual for the era in which Vermeer worked. In addition, the red and white of the lace is shown as spilling from the sewing cushion with physical properties suggesting a near liquid form. The blurring of these threads contrasts sharply with the precision of the lace she is shown working on. 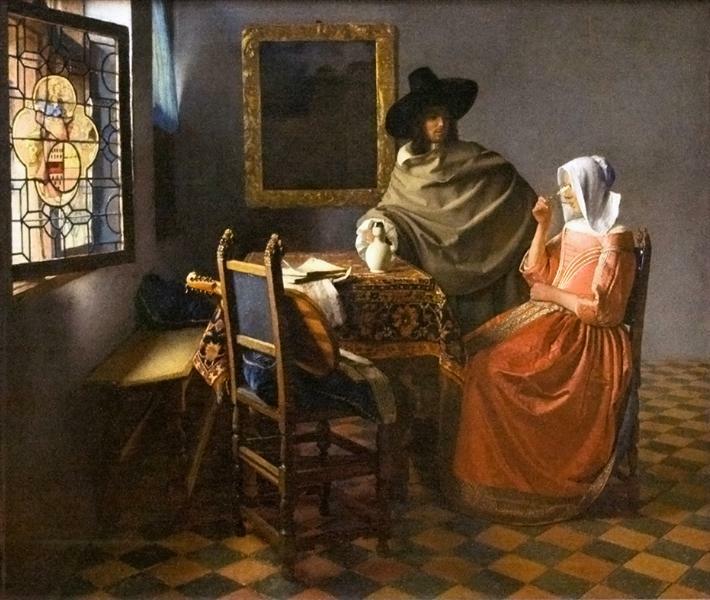 Vermeer's painting is often compared to a 1662 canvas of the same name by the Dutch portrait and genre painter Caspar Netscher. 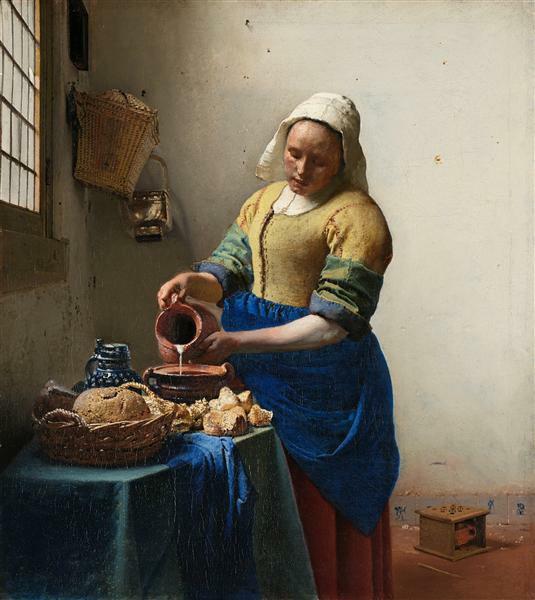 However, Vermeer's work is very different in tone. In the earlier work, both the girl's shoes and the mussel shells near her feet have sexual connotations. In addition, the discarded shoes in Netscher's painting are unlikely to be the girl's own, hinting again at a sexual overtone.